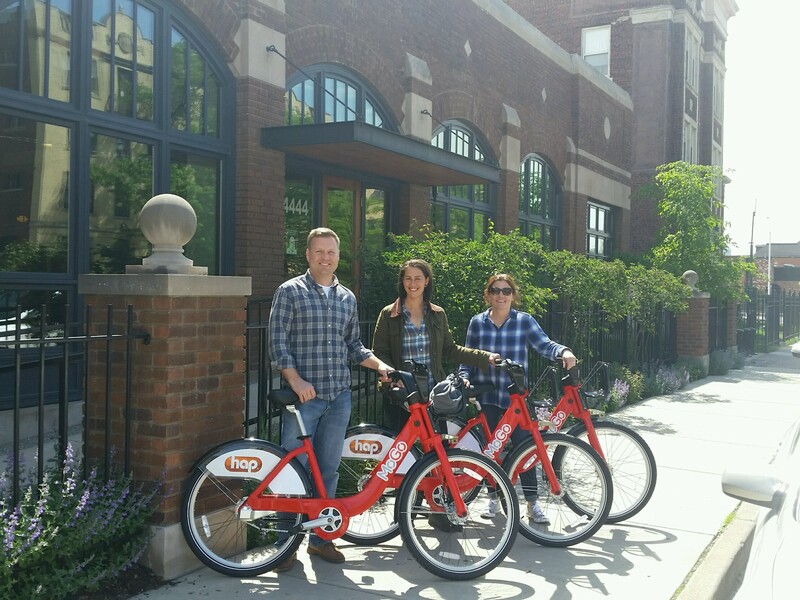 Page : MoGo: Detroit Bike Share Launched! The official MoGo launch party was quite a success! On May 23, Detroit Bike Share – officially called “MoGo” – officially launched with a press event followed by a mass send-off of hundreds of bike riders destined for stations around Detroit. This effectively stocked every station around the City at once. livingLAB is super excited to have played a role in the siting and permitting of the stations and in helping distribute 3 bikes to the Second & Prentis station in front of the Green Garage! The first phase of implementation included 43 stations housing 430 bikes in 10 neighborhoods. Bikes can be rented from one station and returned to the same station or any other station around the City. Rental fees can be paid at the station, at select retail locations, or through an app. More information about MoGo can be found here: mogodetroit.org. Prev - 2017-2018 Kresge KIP:D Grant Projects Announced! Next - Beacon Park Grand Opening!! !